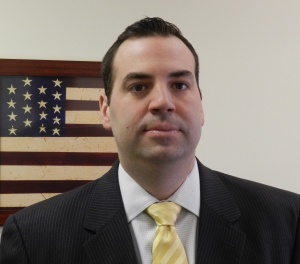 Ryan Delgado serves as Political Director for the 2.5 million member New York State AFL-CIO. In that role, Ryan is responsible for managing the endorsement process of the Federation and the coordinated political action program of the State AFL-CIO’s 3,000 public sector, private sector, and building trades affiliated unions. He also directs legislative outreach to federal officials, as well as communications with statewide elected officials. In addition, Ryan coordinates the organization’s staff departments. Previously, Ryan held the position of Public Policy Director, where we was responsible for developing the overall public policy for the organization, directing communications and public relations, and assisting state lobbying efforts. Prior to joining the State AFL-CIO in 2011, Ryan worked throughout the Labor Movement as a Lobbyist and Political Organizer at the New York State Public Employees Federation, Political Director and Business Representative at Local 1102 RWDSU UFCW, and Public Relations Director at the New York City Central Labor Council. He has also worked in the New York State Assembly as a Legislative Aide and then Chief of Staff in the 25th District. In 2017, Ryan was nominated by Governor Andrew Cuomo and confirmed by the New York State Senate to serve as a Commissioner of the New York State Insurance Fund, the largest provider of workers’ compensation insurance in New York State. NYSIF is a self-supporting insurance carrier that competes with private insurers in the workers’ compensation and disability benefits markets. In 2015, Ryan was elected to the Board of Directors of Citizens for the Extension of the James Zadroga Act, a 501(C)4 which succeeded in extending federal legislation providing health and compensation programs to responders and survivors of the terrorist attacks of 9/11. In 2012, Ryan was named a Rising Star by City and State, a publication covering New York politics and government. Ryan is a member of Local 1102 RWDSU UFCW. He holds a Master’s of Business Administration from Baruch College, City University of New York and a Bachelor’s Degree in Business Administration from Hofstra University. A native of Woodside, Queens, Ryan now lives with his wife Renee and their three sons in Albany County.